SMU Racing went to the 40th anniversary Teagle Excavations ARB Pines Enduro in the hope of adding some trophies from this milestone race. 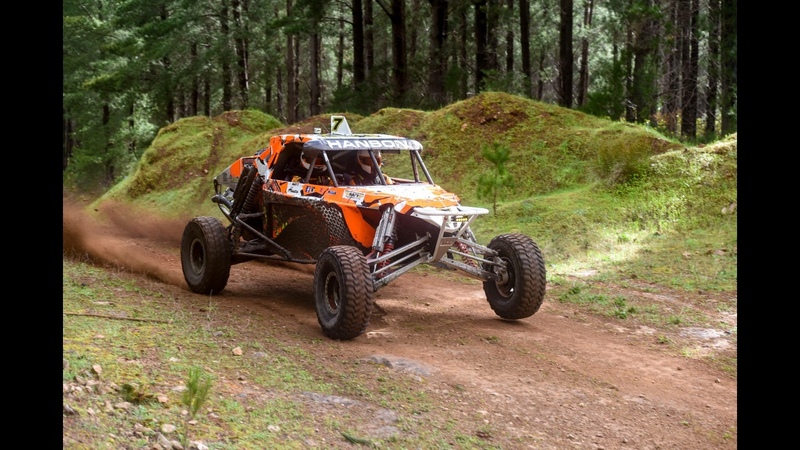 Since the arrival of the new SMU Jimco in 2011 the team has a proud record at this race and it was a highly anticipated race for the team given the promising signs shown this year. Prologue started well with a 4th in the slippery conditions. The Heats which were run well and had the large crowd entertained as a result of good close racing and, despite having the trusty turning brake off in the drivers hand half way round(! ), we were able to manage a second overall behind Danny Brown and post the quickest lap for the Heats. Sunday was a follow on from Saturdays weather with four seasons continuing to present in one day. Starting from the fourth last row on the grid the race got underway and was manic from the get go. Despite spinning twice on the first lap the team were well placed after Lap one passing 39 of the 65 odd cars and posting the quickest first lap. Difficult conditions due to weather and short gap intervals between cars meant that the racing was fairly willing and many bunches of cars racing together. One small issue was that our radiator got completely covered in with mud which caused some increases in engine temperature – nothing the navigator couldn’t shovel off with his spare hand! The team were in front of Rana Horan 2min 31secs at the end of Heat 1 and after some near perfect driving conditions increased this lead to 7mins 6 secs in front of Tyler Owen at the end of Heat 2. Car was perfect, the Shane Wilson Competition Engine Ford Ecoboost was running faultlessly, the Mickey Thompsons 100% doing their job, Albins transmission not missing a beat as per usual and the HJC Helmets keeping the drivers heads safe and cool in trying conditions – visibility no issues. 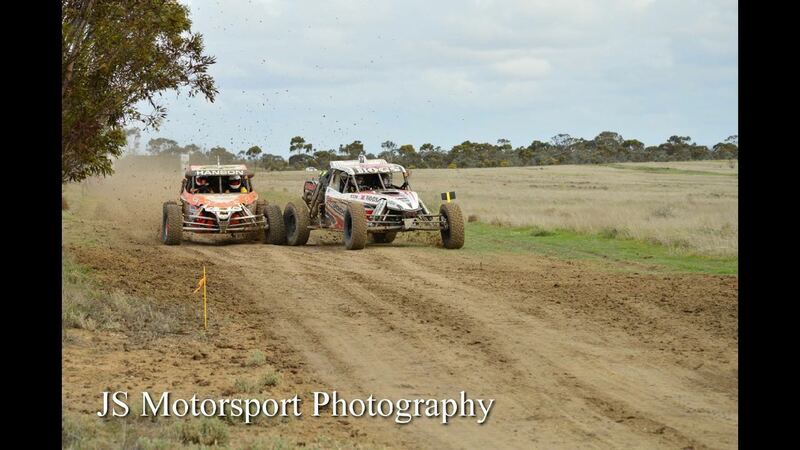 With 35kms to go on Lap 5 the SMU Jimco lost power steering. This was like the Millennium Falcon losing its hyperdrive engine! The team decided to continue on to see if they could get the car home. Good decision as little known to the crew the back of the car was on fire with the power steering fluid going up in flames! Luckily the well insulated Pines mud did its job ensuring no damage was done to the SMU Jimco. Two tonne of car and deep ruts on every corner was providing bone crushing feedback through the steering wheel and had the team using up every inch of track and some to keep the car in a straight line coming home. Speeds were reduced to cope with this and obviously not come into trees (many near misses) and other cars which was difficult. We headed into the last lap hopeful of being able to finish but knowing that Tyler Owen would at some stage soon be bearing down on us. We got to the road home section before he put the blinker on but we knew he had to put 36 seconds on us to win. As we were heading home the heavens opened, and we thought / hoped (!) this may slow Tyler down. We were still in third gear down the straights as the car was impossible to keep in a straight line. Coming into the arena we could see the car in front and doing our best to get there but the drivers arm were starting to show massive signs of not co operating! SMU Racing crossed the line thinking we had not done enough. 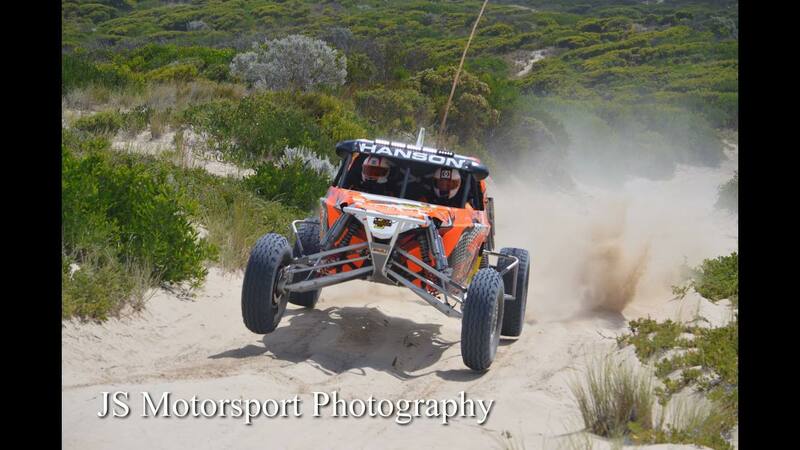 We were right – the final margin five seconds over close to 500kms! Great ending for the crowd, a massive congratulations to Tyler Owen and his team for the overall win – a huge result. 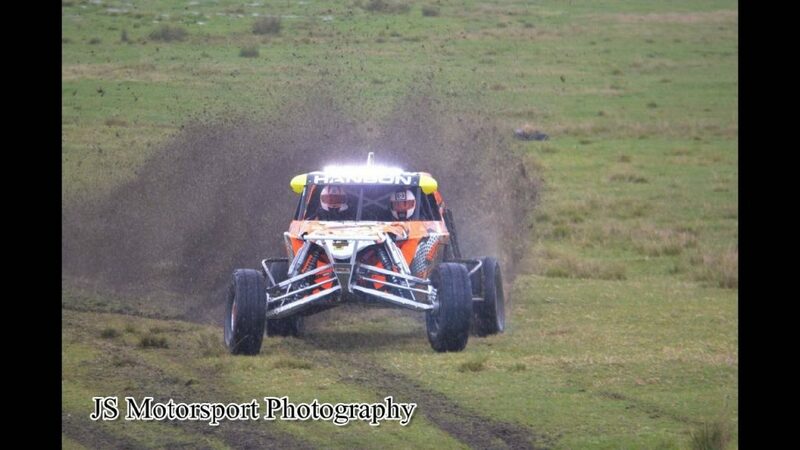 As they say that is Off Road Racing! Congratulations to Danny Brown and George Apted for winning the Series Championship – very deserving and a great team and great blokes! To all the Class champions a big well done also as it doesn’t matter what class you are in, they are always hard to win and a big achievement. 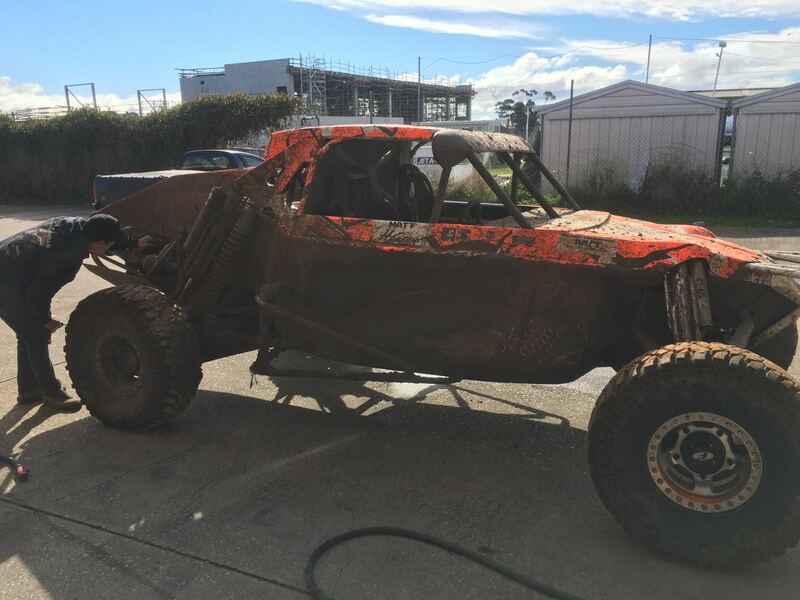 A big thanks to the team on the day in the pits as well as Leigh Wells who jumped back in the navigators seat for this race – hopefully the demons from 2015 are now exorcised for you as well!!!!! Thanks to Steve Chapple Photography and Turn 8 Photography for the shots as well as the awesome video footage shot by Michael Hurren and Randall Kilner and their crew – great footage! Side note on what we think is now becoming a bigger issue facing the sport is the rocks that the cars are spitting out the back. Second year running we have received a large rock into the cabin from a vehicle in front and we hear that this happens a lot. Nobody’s fault – it does happen a bit though. Last year we got one that the driver managed to deflect with a hand (injured hand as a result) and this year the driver copped a large rock to the chest. We will be wearing chest plates going forward – we think this is the best way of dealing with this issue given any mesh screens we think would fill with mud and decrease vision even further. That is the end of the racing season for the SMU Racing team. A promising and enjoyable year. And lastly to the team Tim Collard, Shane Wilson and Johnny Webster thank you for the year and support and some good times ahead in 2018! This entry was posted in Uncategorized on October 10, 2017 by smuracing. Nice to get some time in the car but ultimately well short of where we wanted to get to for the weekend – these words summed up SMU Racing’s adventure at the 2017 Rainbow Desert Enduro. 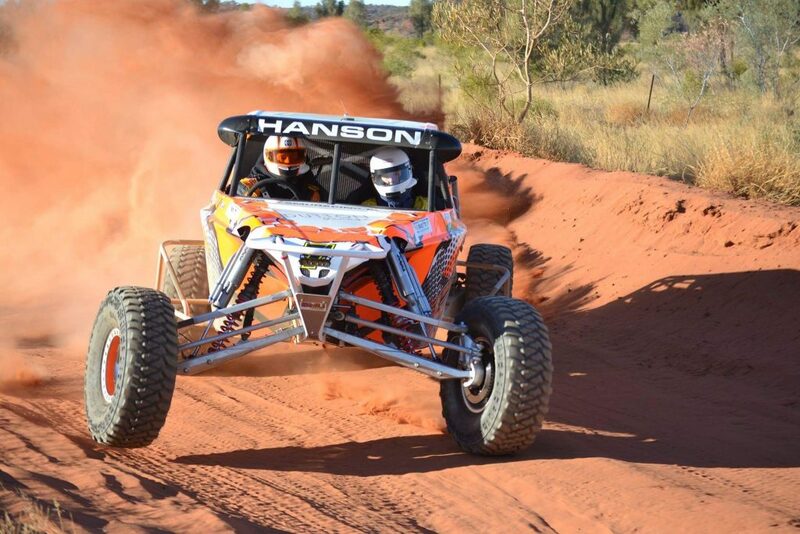 It was good to go to a race closer to home, which was part of the attraction given our recent 800 metres outing at Finke Desert Race, after a Direct injection issue that could not be rectified at the track. The heavens opened on Friday night at scrutineering which was disappointing given the amount of effort that had gone into the event. Still everyone appeared to enjoy themselves though as the #7 SMU Jimco was on display, tucked neatly under it’s cover, shielded away from the harsh elements. Josh Trifetti was in the hot seat for the weekend and enjoyed the proceedings as they unfolded over the weekend. But the eyes of the offroad world were on our mate Trav Robinson from OBR, hoping he could get his maiden AORC title. 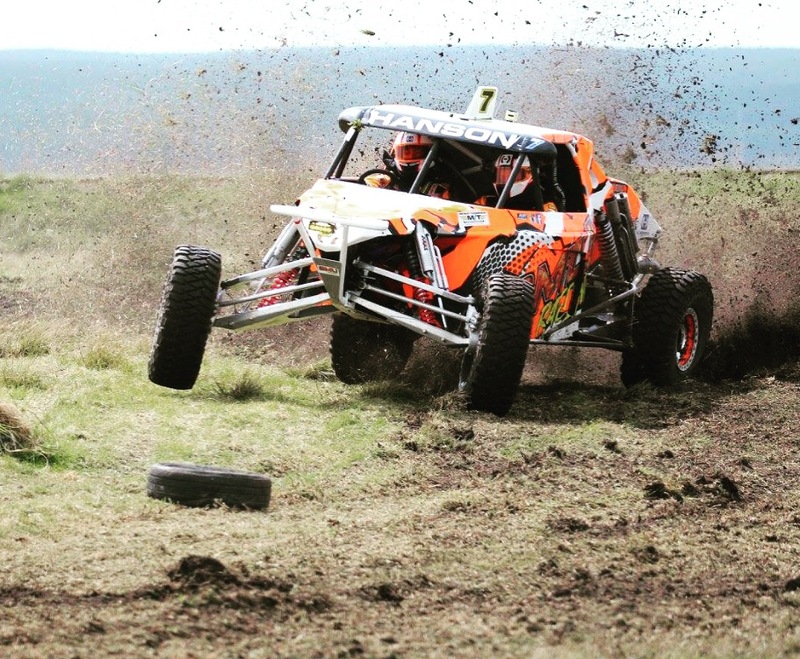 Unfortunately as this sport can only do – good old off road racing was at its ugliest cruel for the weekend, and denied Trav his chance of taking home the AORC 2017 title. Prologue was underway and for some reason we were experiencing an electrical gremlin that kept cutting the car out around the course. Prologuing second, which was good given the issues, we then came second in the top ten with again the same electrical issues frustratingly not allowing the car to get into any sort of rhythm with the car cutting out no less than 11 times. 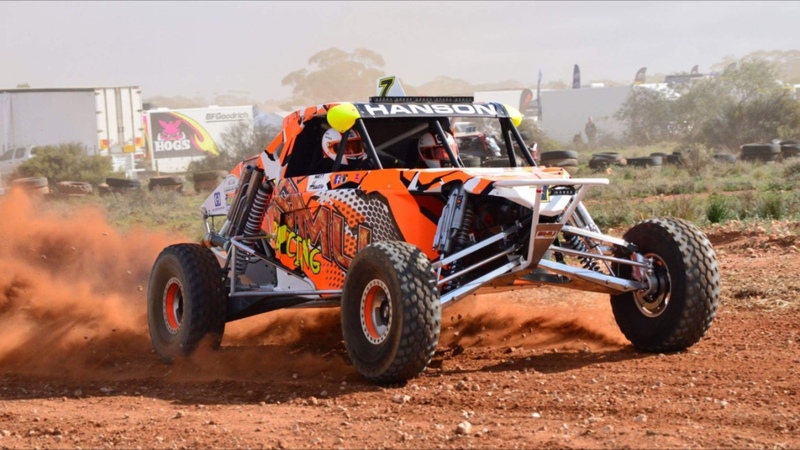 The SMU team were desperately trying to fix the issue which centred around the PDM and with three minutes’ till go time, we were able to get the car started and to the line next to Shannon Rentsch for the two car take off – the team only hoped that the issue had been fixed…. After initially winning the start Shannon got up the inside before the first corner and we ate Shannon’s mud and sand for the first part of Lap One. When Shannon overshot a corner, it was a chance to get in front. Some great clean racing with no dust and plenty of passing room meant that it was a close battle for the first lap with Shannon 3 seconds behind us as we went past the post for the first time. We were having a ball. Most pleasing was our electrical issue had been solved. This battle continued on the second lap on what was a great track but made quite difficult due to the slippery conditions that the rain had created. Some of the straights on roads (that resembled ice skating rinks!) at 230kms plus an hour were interesting to day the least! With 9kms to go to the end of Lap two we heard the deathly CV rattle from the back of the car which promptly ended our race not long after hearing this ugly sound. Getting out of the car and expecting Shannon at any moment to pass though it was not until a little bit later that our mate Beau Robinson came through. Turned out Shannon had clipped a tree probably not that far behind us – fun racing that ended in tears for both teams! Good to get at least a couple of fun laps in and good to see that we think that we have solved our issues from Finke which is great. 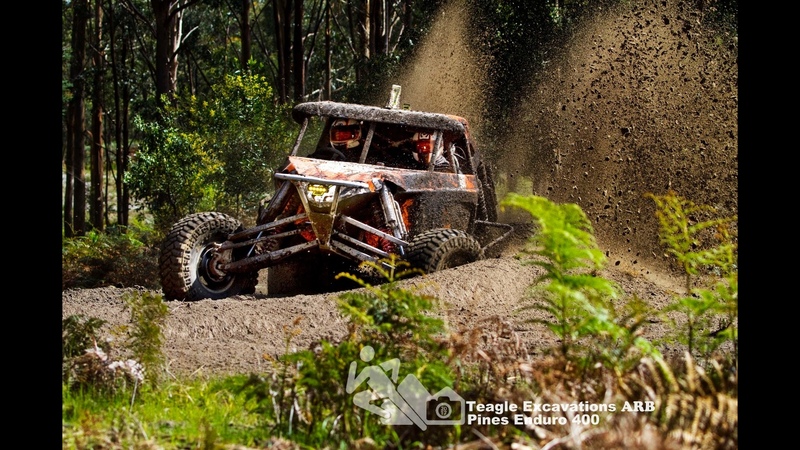 Looking forward to our last race for the year – the Teagle Excavations ARB Pines Enduro – the 40th anniversary race which is very exciting exciting for the Millicent Sand Buggy Club. We won the 35th race so we will be trying our best this year to take home some silverware from the 40th event in what should be another great field. Such a great effort to have run 40 consecutive events. Leigh Wells is on navigating duties for Pines and will be nice to see Borgy back in the car! Looking forward to seeing hopefully a big turnout in a few weeks – see you in the forest! This entry was posted in Uncategorized on August 28, 2017 by smuracing. 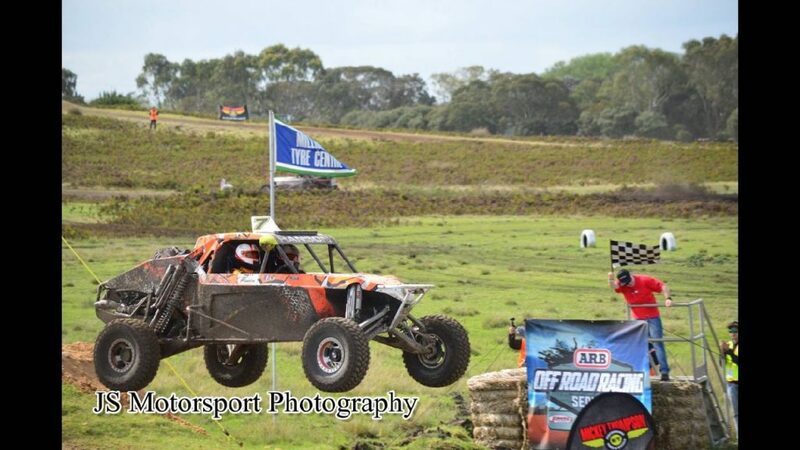 SMU Racing is heading to Rainbow this weekend for the final round of the Australian Off Road Championship. 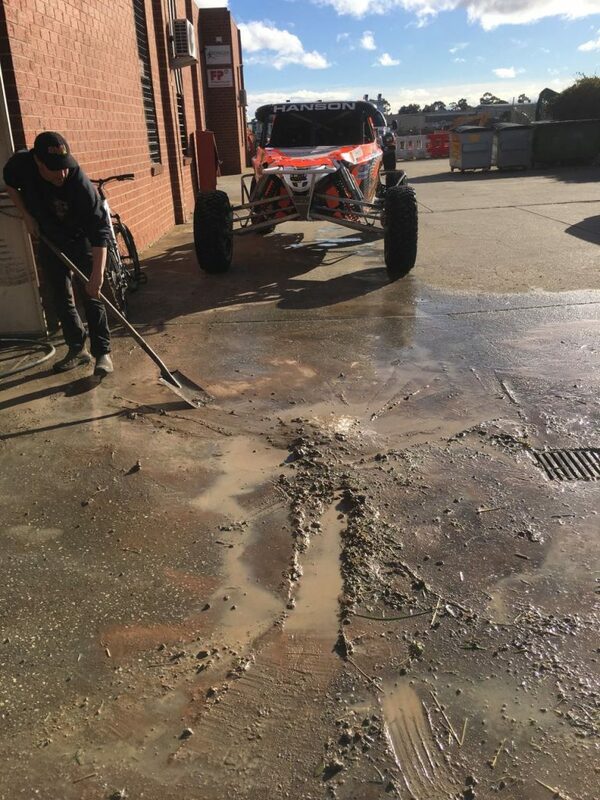 After some Direct Injection issues at Finke it is a chance for the team to get in the car somewhere a little closer to home! While the team is looking forward to the race, given such a lengthy lay off since Portland, it is hopeful rather than confident of a good performance. With some new technology on board, it is now important to get some kms into the #7 Jimco and what better test that a 560km race. Josh Triffett jumps into the navigator’s seat and looks forward to his first race and part of the SMU Racing team. Nice debut! Good luck to all teams entered this weekend and safe travels to all heading to Rainbow. 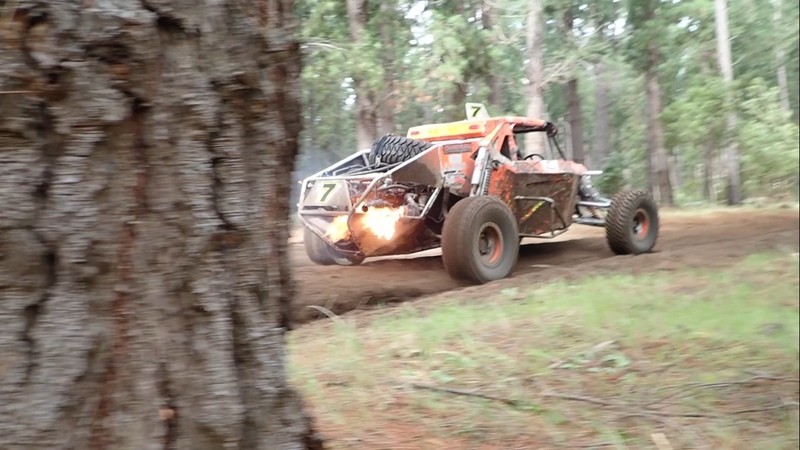 All going well the team plan to head to Millicent for the 40th running of the Teagle Excavations ARB Pines Enduro. This entry was posted in Uncategorized on August 2, 2017 by smuracing. 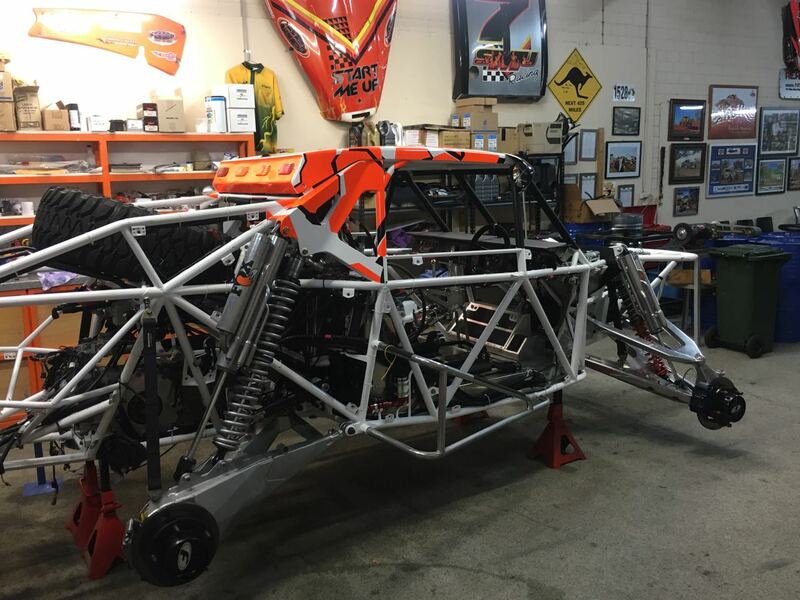 And in a Blink of an eye……..
And in a blink of an eye it is here….the 2017 Tatts Finke Desert Race is upon us and the SMU Racing team is excited to be a part of the action. The team will be all in place from Wednesday onwards with the usual reconnaisances, registrations and scrutineering all in the lead up. The car could not be better and we look forward to this year’s race with a car that we know is very capable on its day. This will be the team’s ninth Finke Desert Race and it hasn’t been a kind track for the team over the year with a best result of fifth (with torque convertor issues) and six DNFs. Crew are fit and ready with newbie navigator Shannon excited for her first competitive outing in the SMU #7 Jimco. Quite the race for the introduction! And of course our “Head In Charge of everything Car related” Tim Collard – a massive thank you before the flag drops. Without this greatly appreciated help we could not get there. To all those travelling to Alice Springs or Sea Lake – safe travels and Good luck! This entry was posted in Uncategorized on June 5, 2017 by smuracing. 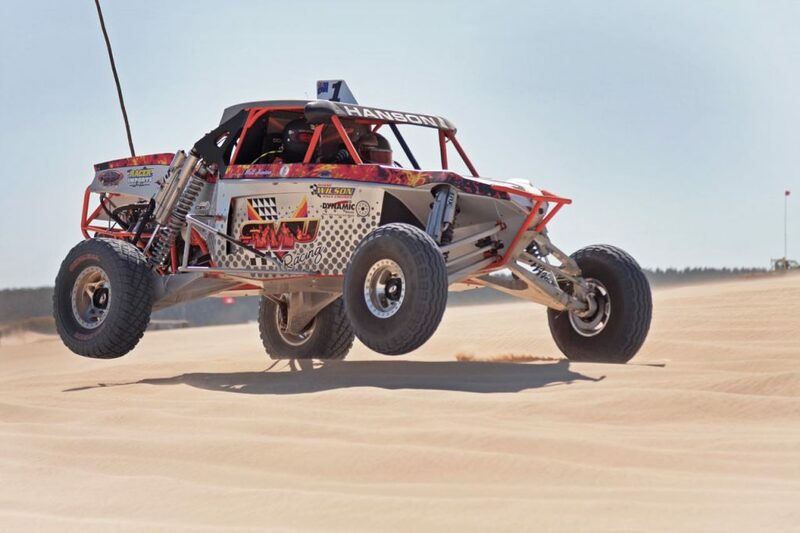 It seems like eternity since the completion of the Harvestco King of the Dunes at Portland but the Tatts Finke Desert Race is under 50 days away and counting. The team is really looking forward to having an issue free run at this race which hasn’t been the case for the team in past outings to Alice Springs! With Leigh Wells on driving duties at Sea Lake, Shannon Jennings jumps into the navigator’s seat for her first go at Finke. 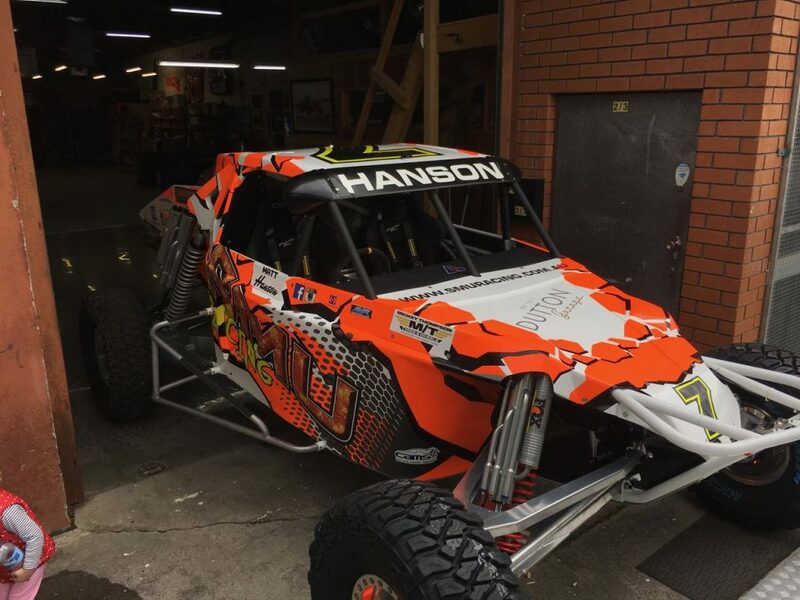 Shannon has been doing some racing in Dad AJ’s buggy and in more recent times navigating for Damien Nicol in his Trophy Truck so will be no stranger to it all when the flag drops. We welcome Shannon and Dad AJ to the team for the race. 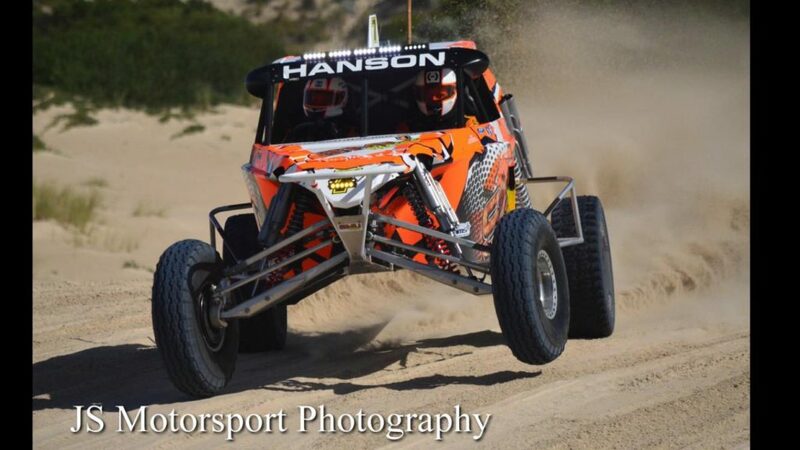 We are hoping our Shane Wilson Ford Ecoboost will show further signs of refinement as we take on the whoops of Finke. Additionally we will be doing some pre race testing where Cameron from Racer Imports will be dialling in the car from a suspension perspective. 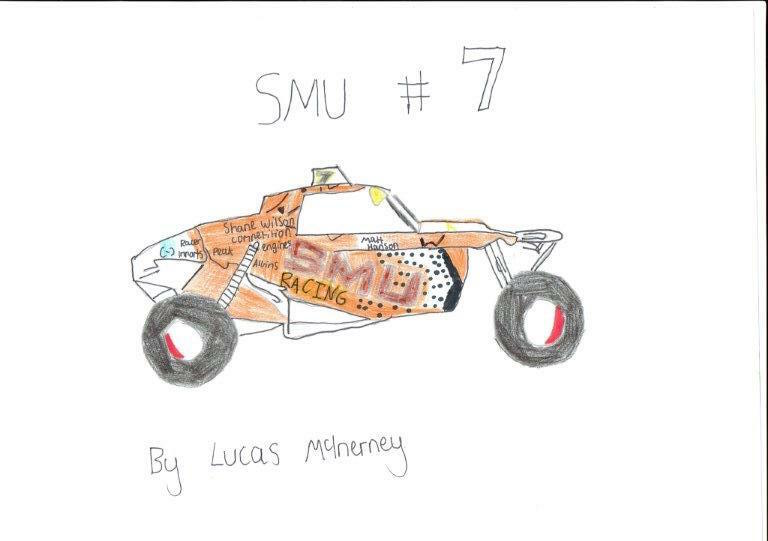 Exciting times hopefully ahead for the #7 SMU Racing Jimco. Look our for further updates as the team heads into Finke 17! This entry was posted in Uncategorized on April 25, 2017 by smuracing. Two out of three ain’t bad…. 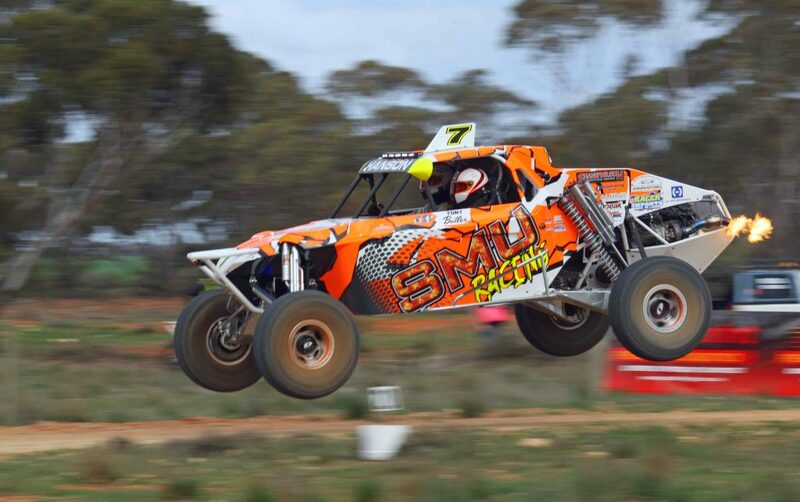 Well the winning SMU run unfortunately ended on the weekend – a departing circlip putting an end any hope of chalking up a third straight win for the team in recent outings. 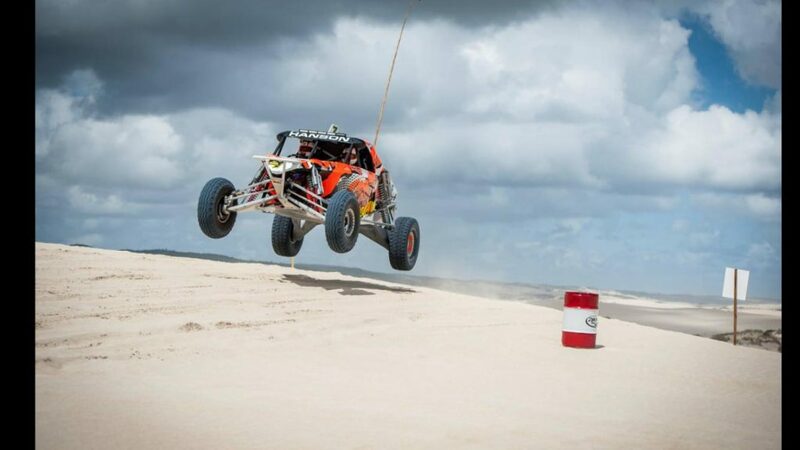 In what can only be described as the perfect race venue with perfect conditions, the flag dropped for Saturday’s Harvestco King of the Dunes Portland race. The mass start making it all the more thrilling for spectator and crews alike. After a mad rush to the first corner (as always!) there was some great racing and fantastic duels. The track was the best that could be remembered for a few years and it was a race that didn’t disappoint the large crowd that showed up. 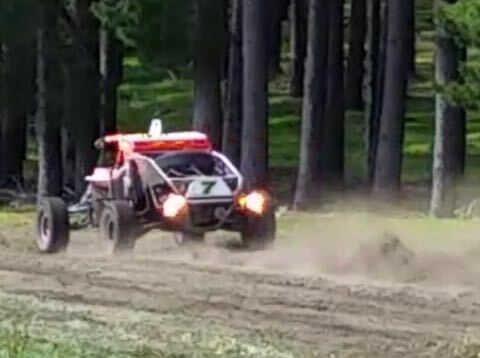 The SMU #7 Jimco was in full flight with the Shane Wilson Ford Ecoboost starting to show some signs of it capabilities. Unfortunately our circlip and driveshaft had a severe argument which led to a quick divorce, ending any chance of taking out the race with just on three laps in the first heat after leading. In the SMU Pits ably led by Tim Collard, and in full flight (! ), the team were amazingly able to get the car up and running again for the second heat. With Leigh Baughurst Wells back in the hot seat after a year’s sabbatical, the car didn’t miss a beat in the second heat to win by 7:08 minutes over the 120km. 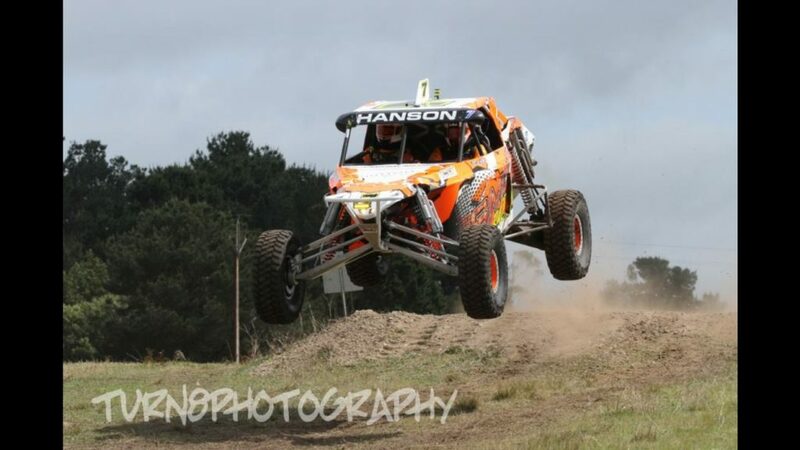 A massive congratulations to Aaron James and the team ably led by Luce for the weekend for taking out the event in what was a fitting comeback for the team. Sometime there are good endings to off road stories! 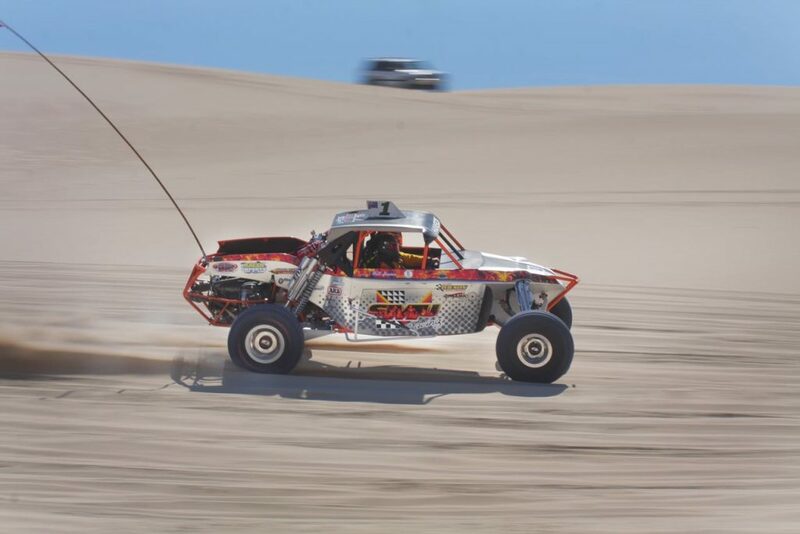 The Portland Dune Buggy Club and sponsors are to be thanked and congratulated for what was one of the best Portland events in recent memory. The presentations and effort that had gone into the race was enormous and the large crowd on hand were extremely appreciative. 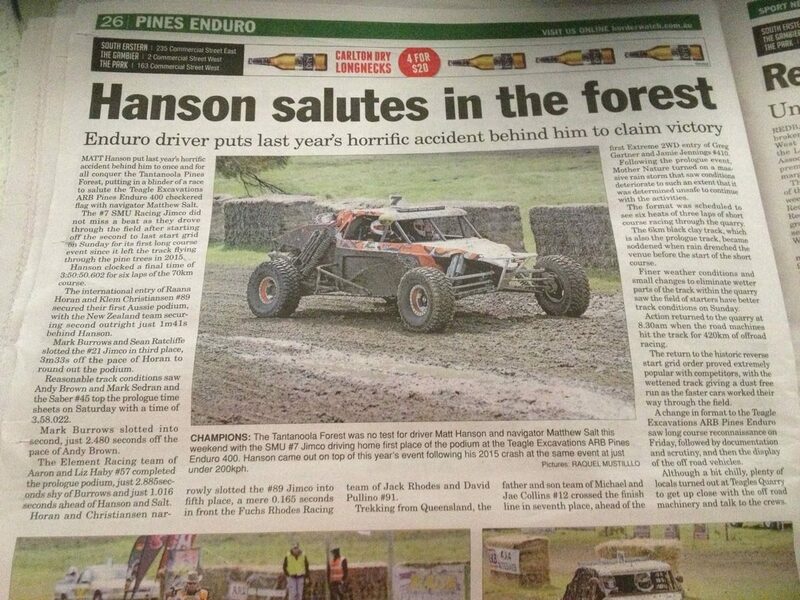 A special mention to Glenn and Courtney Wilkinson who took out the inaugural Neil Hanson Race Directors award. After a trying day it was good to see them with a smile on their face at the end of it. Saturday night exceeded expectations (is that possible!) with a great time had by all with many familiar faces around the campfires. The 6 am wake up call the next morning, however dampened the day, as the team headed back to Melbourne. Great race, great fun and the SMU #7 Jimco definitely going the best it has since creation! A big thank you to Tim Collard, Shane Wilson, Johnny Webster, Brad Chasemore in the lead up and on the day. Not possible to go racing without the boys. HJC Helmets – Kris Trotter – best helmet on the market! Colombo’s Family Restaurant Balwyn – best pizzas in Melbourne and huge function room – we do deals! As for the next race for SMU Racing…..”destination unknown”! 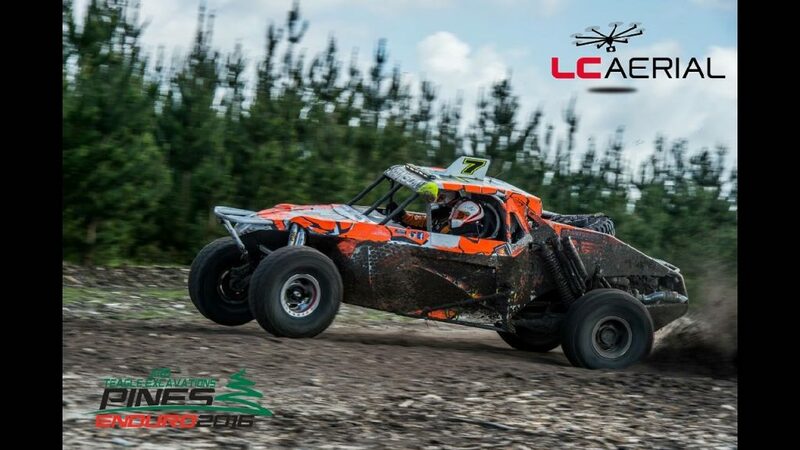 Special thanks to JS Motorsport Photography, LC aerial (who have also done a great video from the weekend which we also link to our page later this week) and Turn 8 Photography for use of their terrific photos. 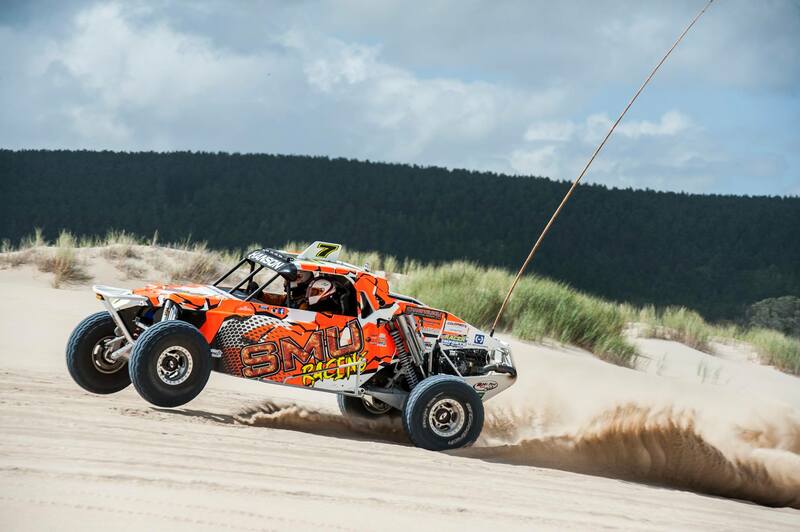 To all other photographers there on the weekend thank you also – some great photos of this event floating around which is a credit to all given the difficulty of photography in the dunes! This entry was posted in Uncategorized on February 22, 2017 by smuracing. 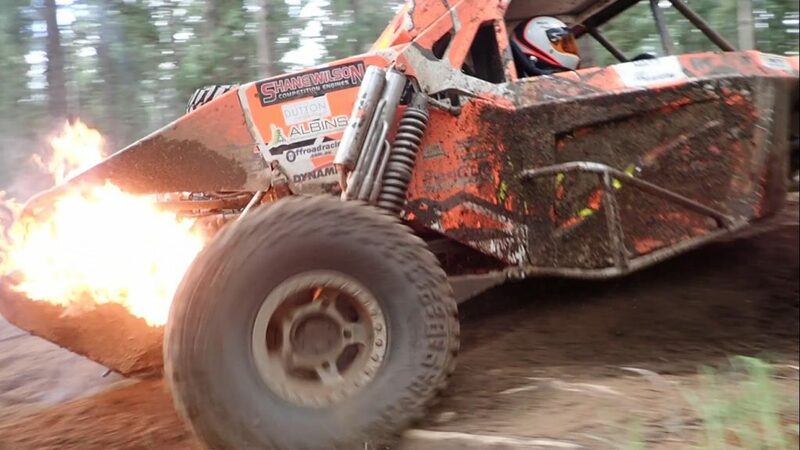 Looking forward to the start of the Off Road Racing season for SMU Racing at Portland King of the Dunes this weekend. A massive thanks to Tim Collard, Shane Wilson and AVR Performance in getting us to the start line in what looks to be a competitive field come Saturday. We have continued to refine our Ford Eco Boost during the off season as the team looks to build on a promising end to the 2016 season. 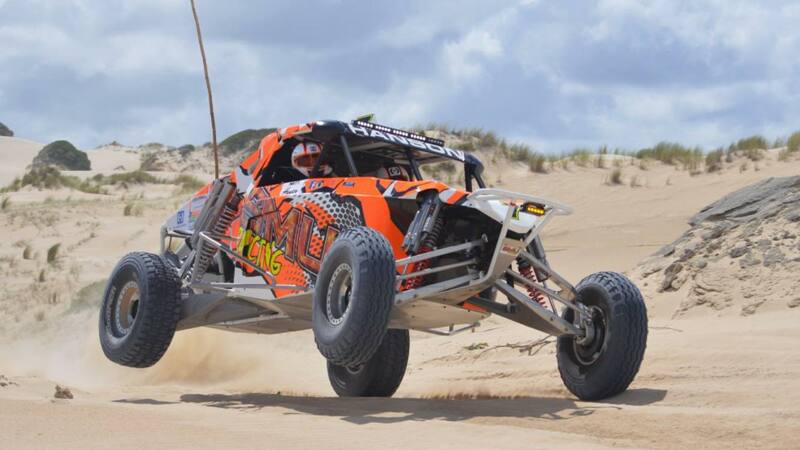 Leigh Wells is back for the first time since 2015 in the hot seat which will be fun as the team heads to the sand dunes where they have had great times over the journey. It is Matt’s 19th Portland race – the first one being back in January 1984 as navigator for father Neil as a 12 year old. His first Portland race as a driver was in 1989 with Johnny Webster sitting in the navigators seat. Time rolls on! Good luck to all those competing , and looking forward (maybe a little too much) to the festivities of Saturday night! This entry was posted in Uncategorized on February 16, 2017 by smuracing. From our family to yours, wishing everybody a Merry Christmas and prosperous and safe new year. We look forward to seeing everybody again in 2017 where we are looking forward to making some exciting announcements about SMU Racing for the upcoming season. Flashback to 2013 season as we look forward to the year ahead……. This entry was posted in Uncategorized on December 24, 2016 by smuracing. 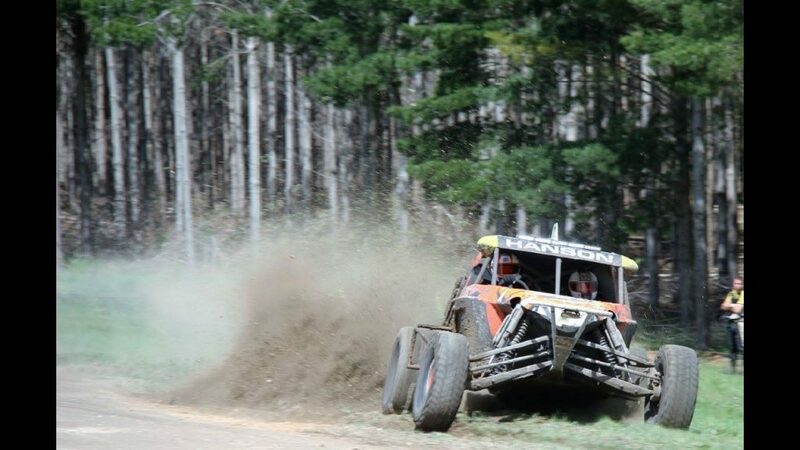 The SMU Racing Team returned to the 2016 Teagle Excavations ARB Pines Enduro one year after the horrific crash that almost ended with fatal consequences. Full of anticipation, given the events of 2015, the team were hopeful of a good result that could launch them into 2017. With literally a brand new car after a ground up rebuild including a new power plant, the Ford Eco-boost V6 twin turbo Shane Wilson Competition Engine, the team took to the rain affected track for Prologue on Saturday. Matthew Salt was navigator for the weekend and at the end of prologue, the team found themselves in 4th place as they navigated the mud stacked course. With the remainder of Saturday cancelled due to weather, the team prepared for starting from the second last row of the reverse grid for Sunday. Sunday panned out to be a really nice race for the team. After a slower (somewhat tentative!) first lap, Matt Hanson and Matthew Salt started to find their groove and the car and new engine started to deliver on the glimpses of potential shown to date. Some bad luck for Jack Rhodes in the last heat paved the way for a SMU Racing victory one year on, managing to pull clear from Raana Horan and Mark Burrows who both had great races. A fantastic reward for Tim Collard who has put an enormous amount of time into this car and for the car to not have one issue all weekend, would have been personally very satisfying for what has been a long road after last year. 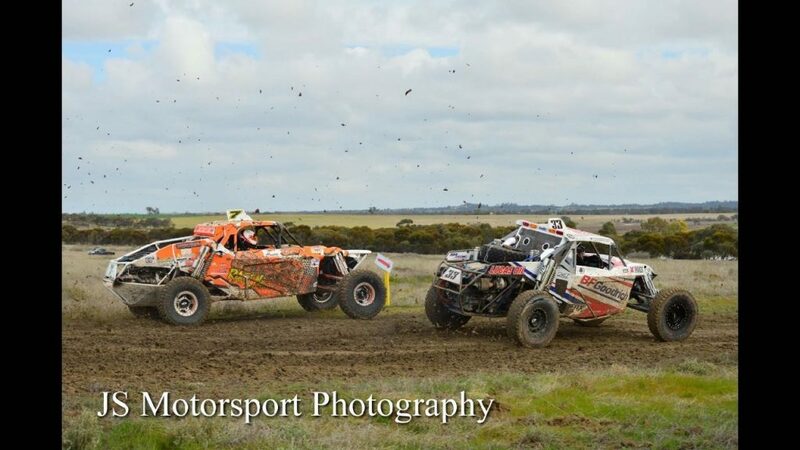 Again a huge thank you to the organising committee of this great race from Murray Rogers and the Millicent Sand Buggy Club to Teagle Excavations, ARB and all the sponsors and volunteers that make this iconic race what it is. A massive thank you to everybody for their well wishes before and after the race and the special people that we got to share the win with. After a very hard 24 months for the team it was nice to see some reward for what has been a monstrous effort. It has been a difficult journey but we have been patient and overcome several challenges so to that end it was a satisfying end to the weekend. It is one step towards our goals for 2017 and we are exactly where we wanted to be at the end of this year. We now enter 2017 with excitement in the knowledge that we have a good package and will look forward to the year ahead. SMU racing is on the look out for partners for the 2017 season so please contact Matt Hanson if you would like to get involved! 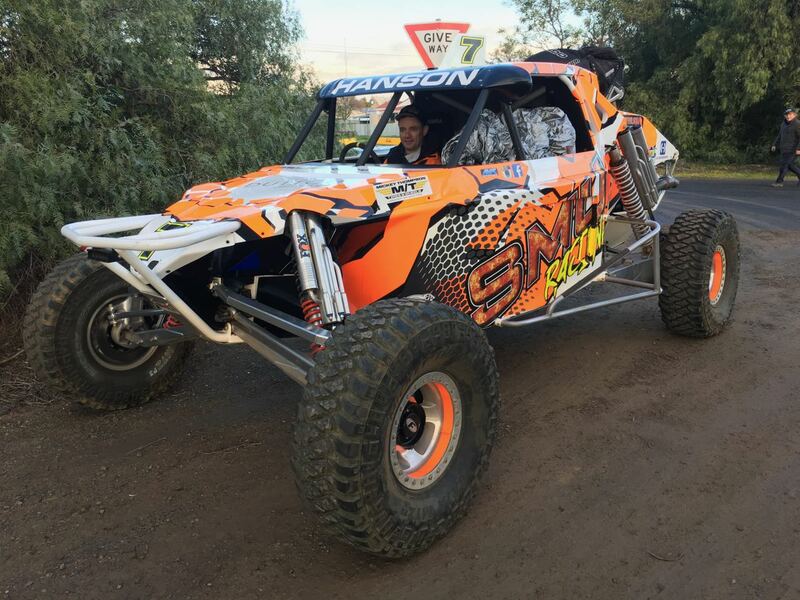 We can offer great exposure for your brand and get you in close and personal with the SMU Racing team if you are looking to be part of Off Road Racing in Australia. We have various packages at all levels so get involved! Again thank you to those that made the 2016 Pines race special for our team. This entry was posted in Uncategorized on October 2, 2016 by smuracing. 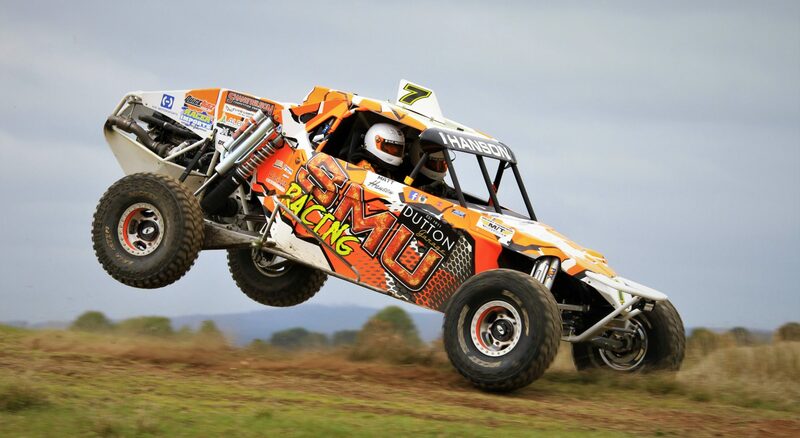 The SMU Racing team is looking forward to the Teagle Excavations Pines Enduro this weekend in Millicent SA. The car is constantly being refined in readiness for 2017 and 420kms in the Pine forests of Tantanoola will provide a great test for the SMU #7 Jimco powered by the Shane Wilson Competition Engines Ford Ecoboost twin turbo V6. Tim Collard has headed the charge preparing the car as it returns to the scene of the infamous Pine tree excursion last year on lap one. Since returning from Lake Tyrrell, the car has undergone some minor renovations as we look to continually improve our overall package. Matthew Salt jumps in to the Navigator’s seat with Tony Butler’s navigating career over before it began due to ongoing work commitments. 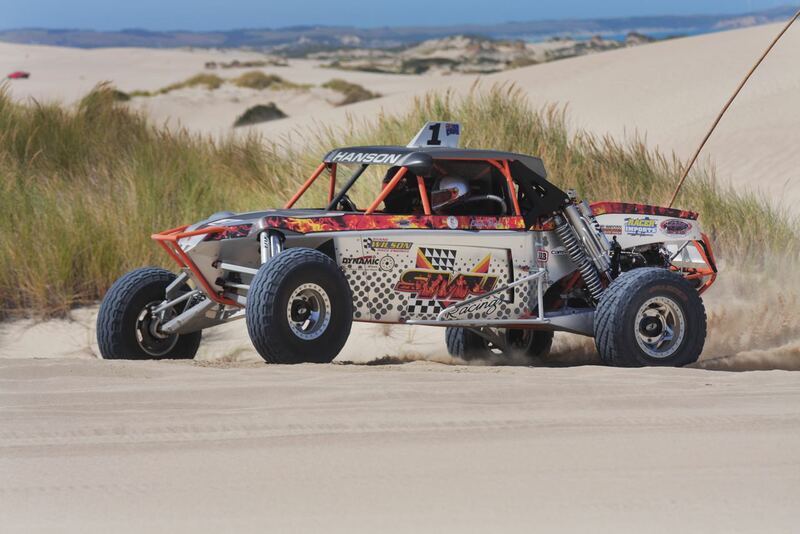 Salty’s navigating duties were cut short at Waikerie due to a blown inlet manifold, and is hoping the team can get a finish under its belt at the gruelling Pines circuit this weekend. Lastly we would like to thank Lucas McInerney from Sea lake who is one of our great supporters. This fantastic picture that he hand drew, now hangs with pride of place at SMU HQ and sits above where the SMU Jimco gets prepped. Thanks Lucas. With our HJC Helmets strapped on tight (! ), we look forward to seeing everyone at Pines in what should be a great weekend! Safe travels to all those going. This entry was posted in Uncategorized on September 20, 2016 by smuracing. If you are interested in partnering with the SMU Racing team for the 2019 season, we have Partnership proposals complete with DVD available now. Contact Matt Hanson on 0414 850 770 for a personalised proposal today.